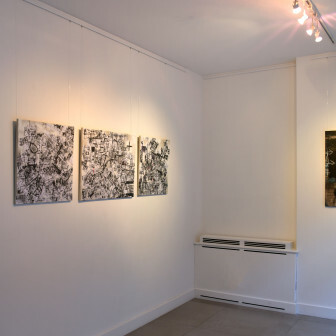 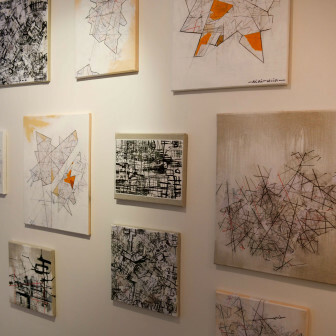 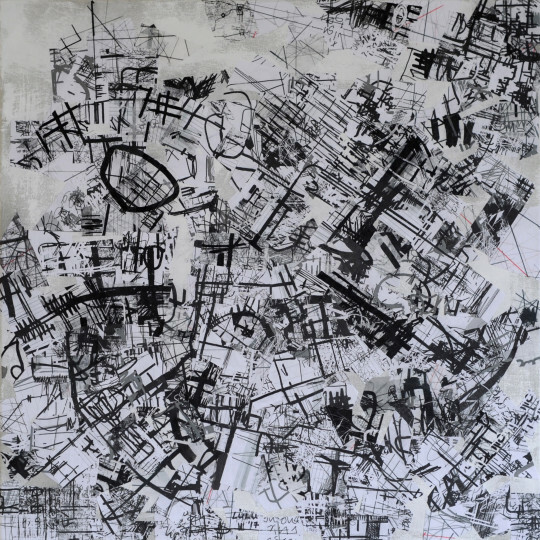 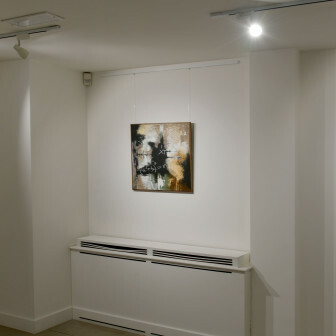 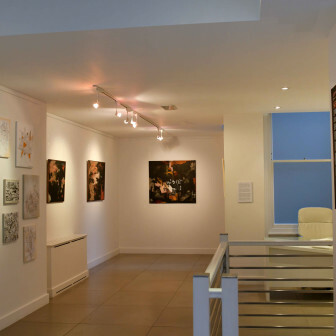 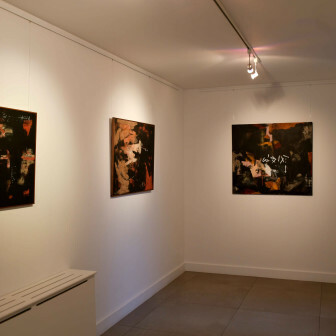 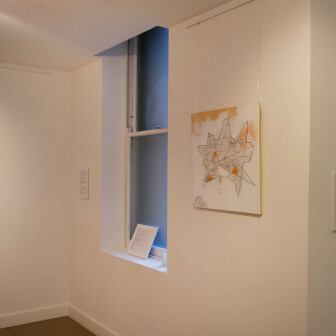 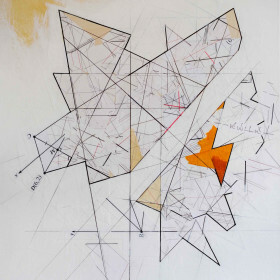 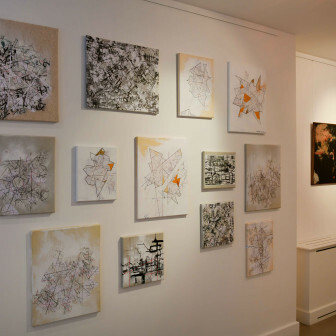 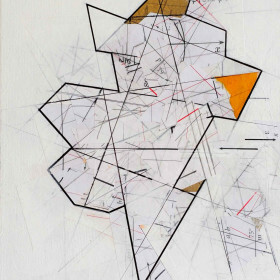 Gallery Elena Shchukina presents Locating One Self, a solo exhibition of mixed media paintings by London-based artist and PROJECT2017 public vote competition winner, Lulu Manasseh. 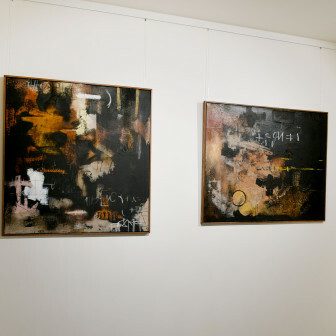 Comprising four interrelated series of works, the exhibition is conceived as a narrative display of Manasseh’s artistic and spiritual journey over a year of intense creative productivity. 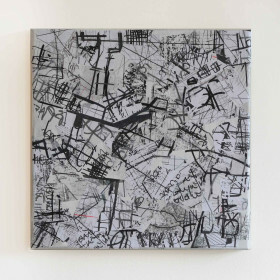 With a focus on process, intended both as the physical practice of building an artwork and the artist’s labour of self-discovery, Locating One Self guides the visitors through a transcendental journey of shifting perspectives. 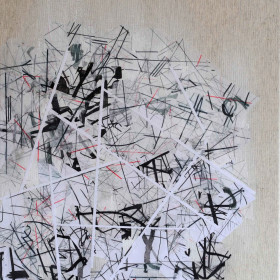 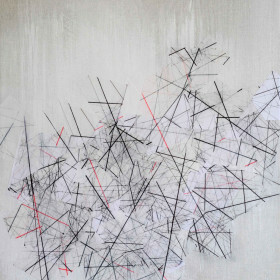 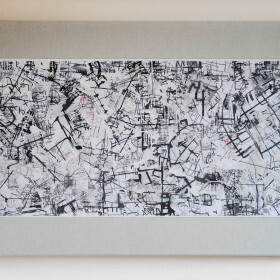 Manasseh’s more recent works gradually lose their earthbound qualities – natural pigment, black paint and woven material slowly give way to thin layers of white paper and clean, graphic marks. 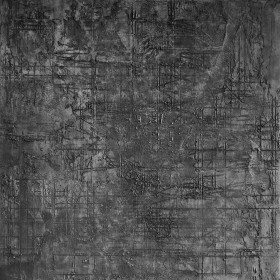 Shifting focus from the ground to the stars, the works in the Mapping Infinity series take the artist’s exploration of our relationships to the metaphysical realm, attempting to capture fleeting snapshots of a universe in constant flux: “multidimensional, multi-directional, we can move between or create new constellations… The possibilities are endless.” Looking back onto the world from a higher viewpoint, Manasseh achieves a complete shift in perspective in Between Here and There. 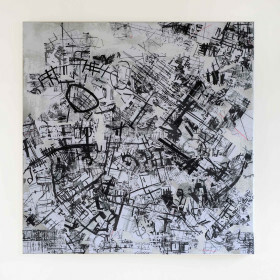 “Realising that the actual process of building the maps is integral to the information received from them,” explains Manasseh, these maps can help us to see ourselves. 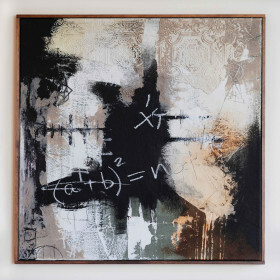 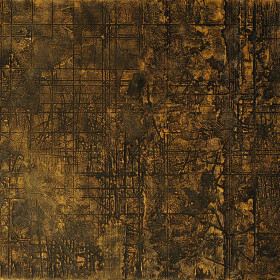 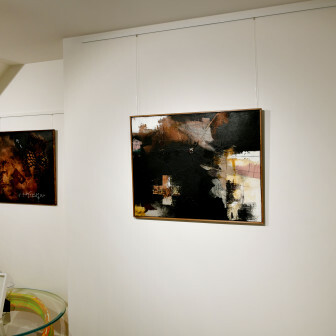 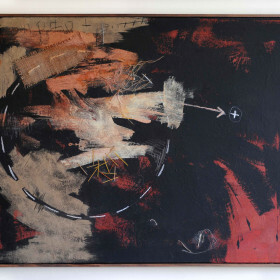 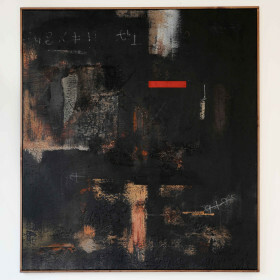 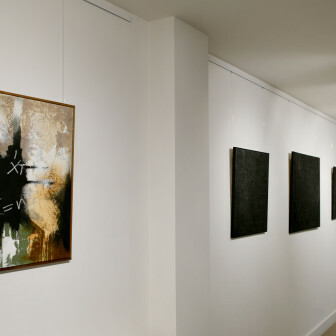 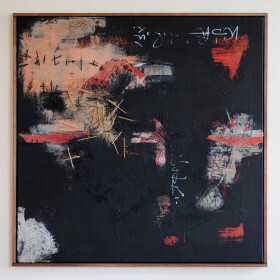 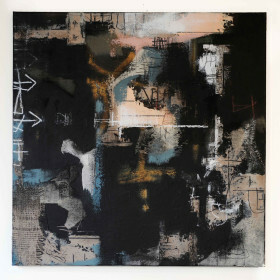 The journey of Locating One Self finds its conclusion in a final act of synthesised unity: inscribing the maps within layers of clay, hessian, fibres, acrylic and oil paint, Manasseh creates powerful textural black and gold paintings in which all perspectives finally meet.